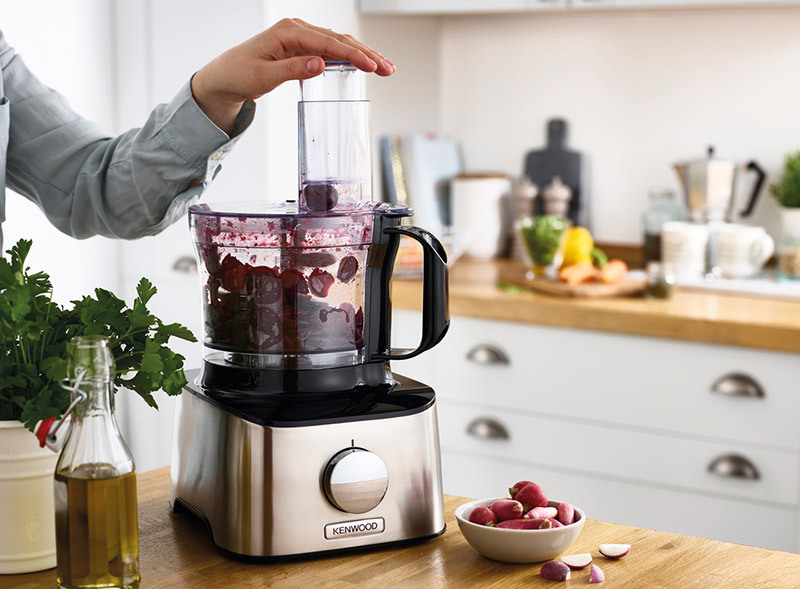 This stylish and compact food processor will help you make a range of delicious dishes. 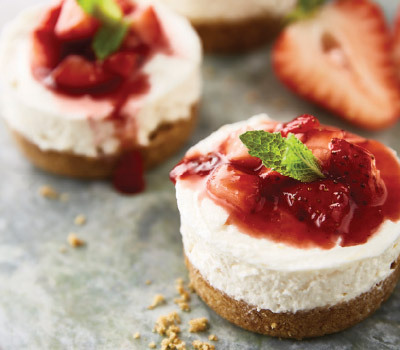 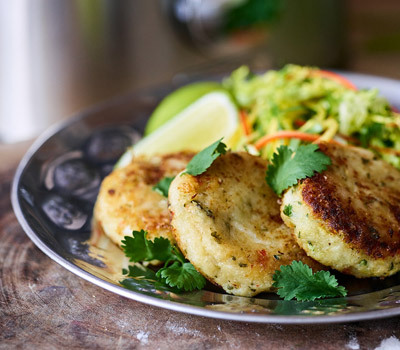 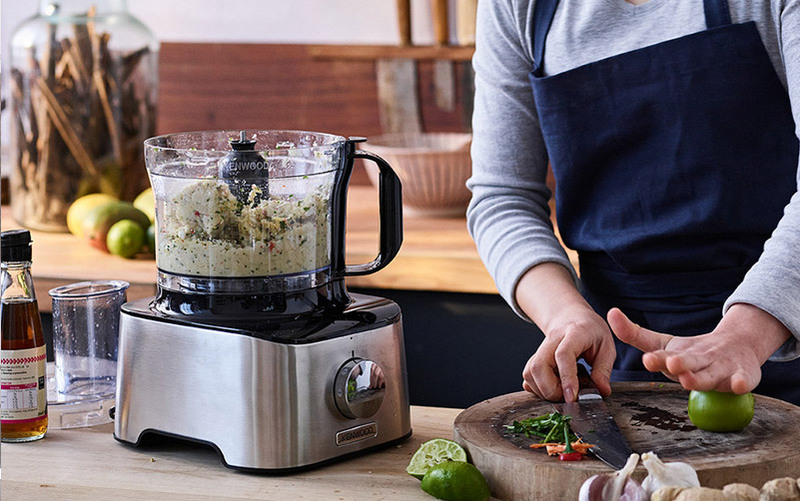 This space-saving food processor has all you need to discover new dishes and tasty recipes. 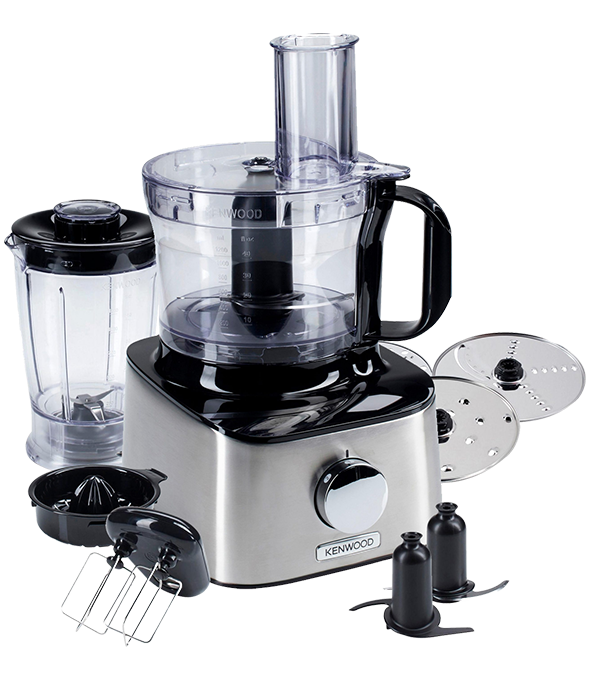 The Multipro Compact gives you all the quality of a premium food processor in a compact size. 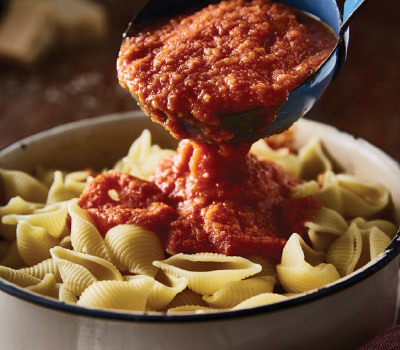 It’s not just a space saver; it’s a time saver too. 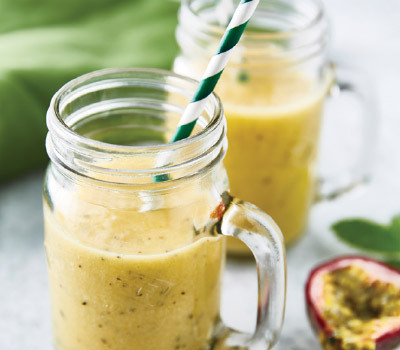 It can easily be tucked away in a cupboard, but don’t let the Multipro Compact’s size fool you – there’s no limit to what you can create. 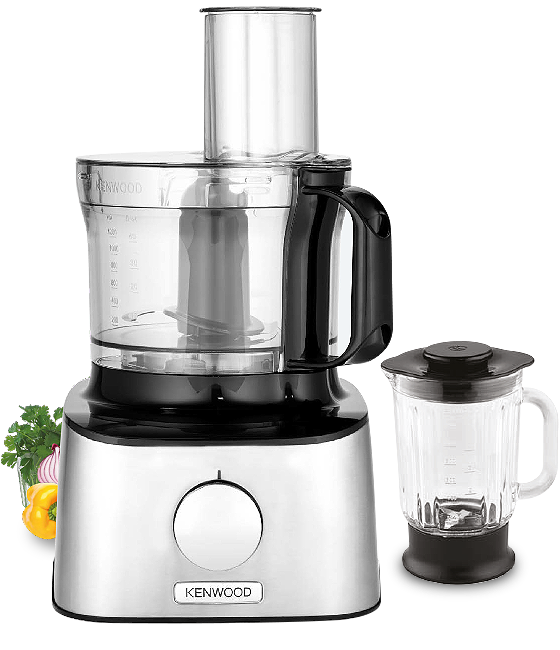 Like all Kenwood Multipro food processors, it also comes with a blender – great for a fresh fruit smoothie, or a post-workout shake. 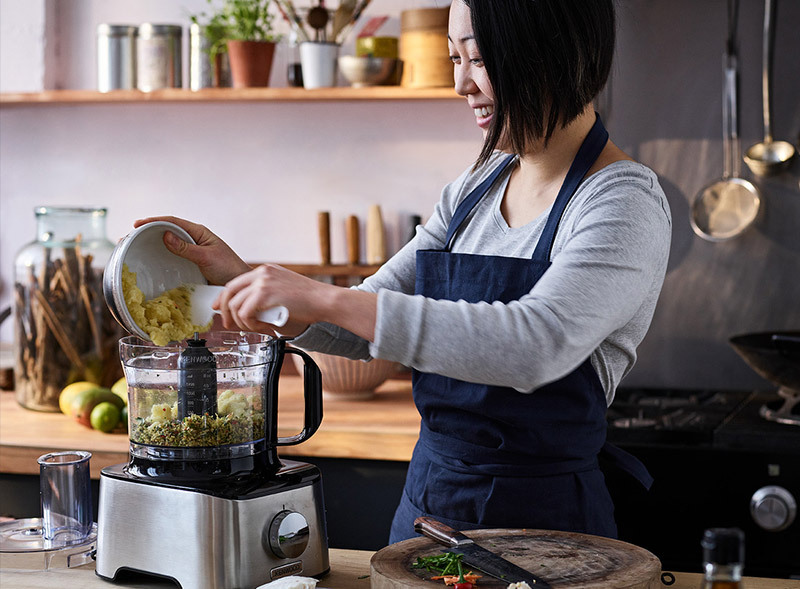 This food processor comes with a wide variety of attachments to help you create an array of dishes.You can use the dough tool for kneading bread and pastry mixes, the whisk tool for egg whites and light creams, and the knife blade for chopping and pureeing. 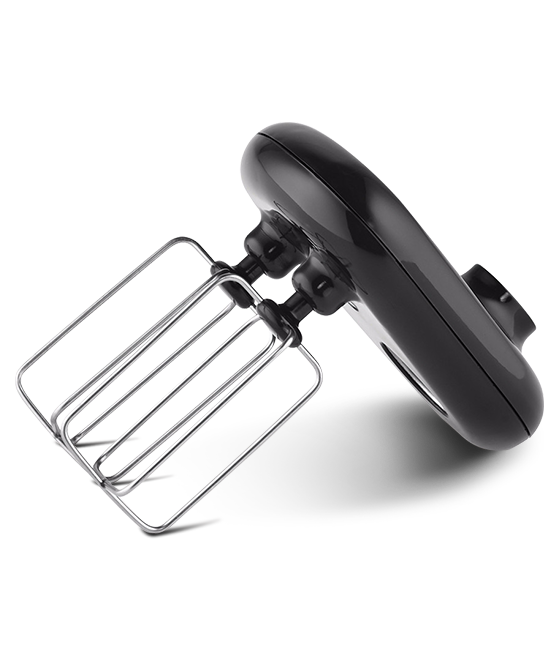 The citrus press allows you to make fresh juice, while the discs are ideal for grating cheese and slicing potato. 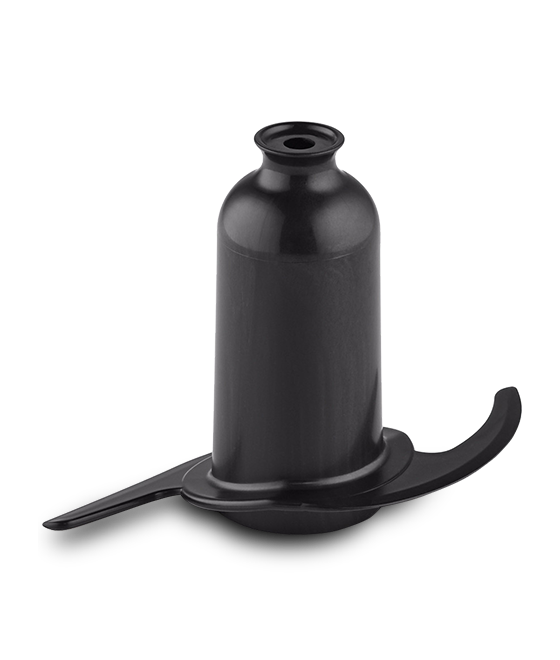 The Metal Multipro Compact is dynamic yet small and versatile yet powerful. 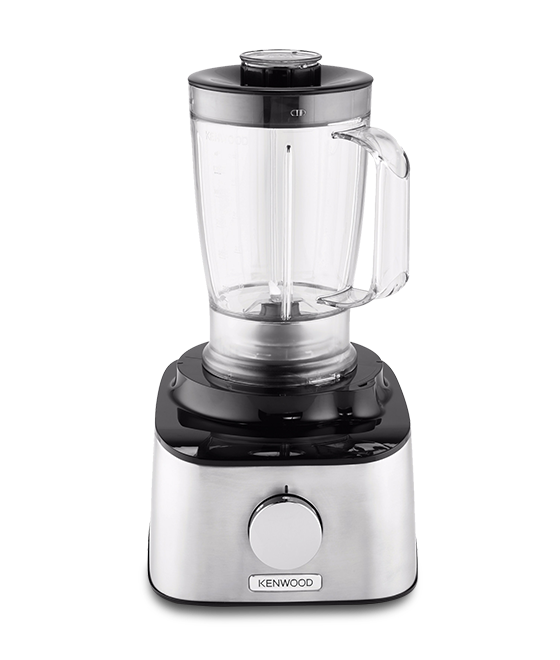 The 800w motor and 2 speed + pulse allow for simple yet robust output and control. 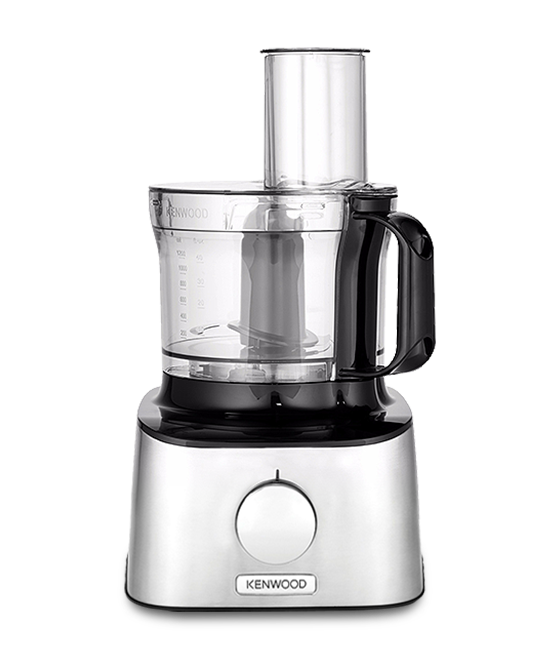 Its clean finish, smooth edges and premium metal design make it an attractive requisite to any kitchen. 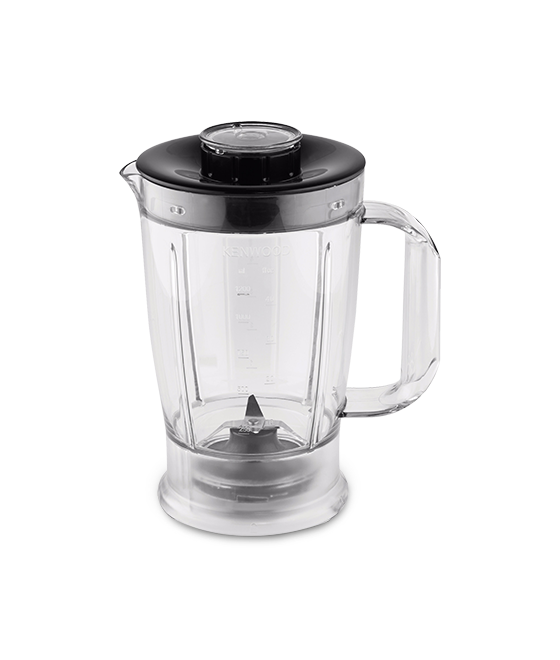 With a multitude of attachments, including a centrifugal juicer, it offers added value and a highly competitive position in the market. 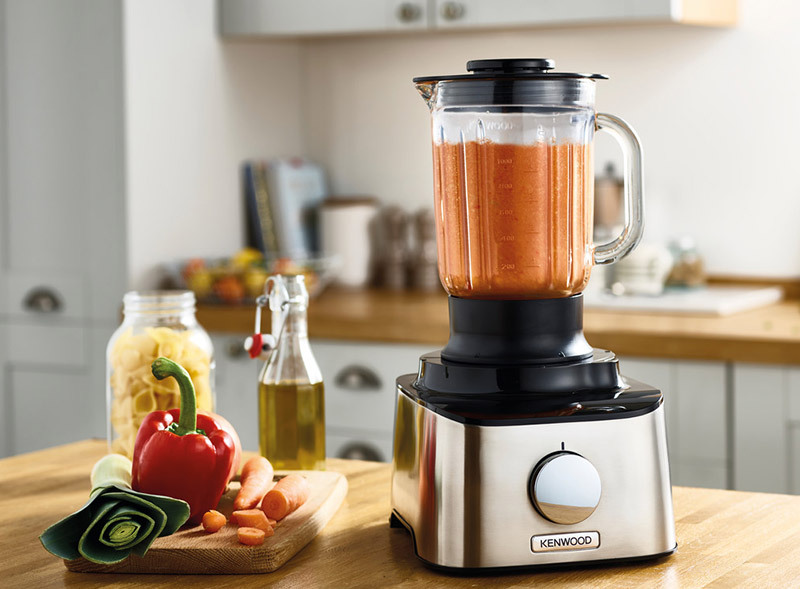 The Multipro Compact is a high performance food processor, with a quality metal finish and range of attachments with a conveniently small footprint.